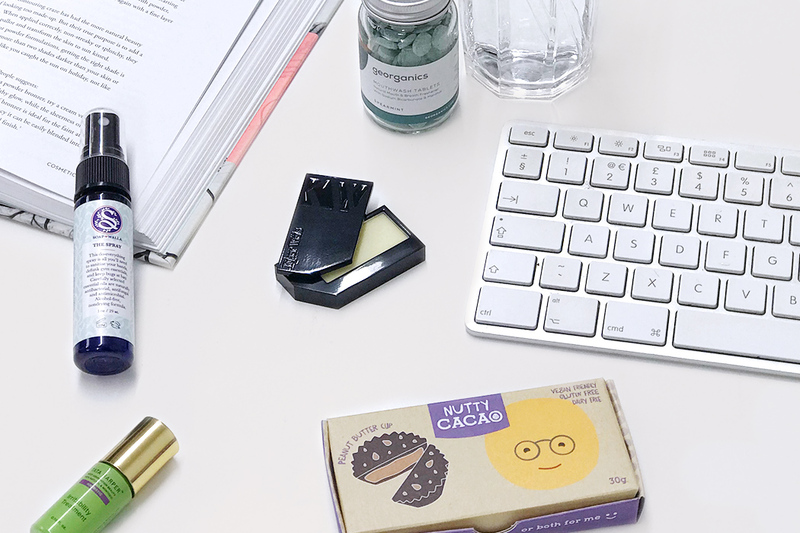 Wondering what healthy office desk essentials the CONTENT team can’t do without? From beating the afternoon slump, to refreshing winter complexion, discover the must-have products that we keep within reach on our desks to drink, eat and spray throughout the day. Wunderworkshop Golden Turmeric Chai Tea is a comforting and warming anti-inflammatory drink. Turmeric spice has been used for centuries for its well-documented health benefits, while ginger and cinnamon add an earthy sweetness and an extra dose of antioxidants. The Cacao Club disk for Brain Power and Focus is a mix of Cacao, Brahmi, Sage and Rosemary, which can be melted down to make a hot choccie that provides alertness and enhanced concentration. This is a tasty and satisfying option for chocolate lovers. Four Sigmatic Mushroom Coffee acts as a ‘coffee’ hit without the jitters. Delicious Arabica Coffee and medicinal mushrooms (don’t worry, you won’t taste them) are blended into individual sachets for a quick fix on-the-go. There are two types available: Chaga boosts immunity while Lion’s Mane enhances cognitive function, and neither of them will give you that crash and burn feeling. The Nutty Cacao Chocolate Peanut Butter Cups answer your chocolate needs but minus the guilt. Made with natural ingredients, including an organic raw chocolate base, these tasty treats promise to satisfy your sweet tooth and are much more innocent than they taste! Keep them desk side for mid-morning or afternoon cravings. Maintain minty fresh breath throughout the day with Georganics Mouthwash Tablets. The eco-friendly and compact packaging of these tablets make them a great alternative to traditional mouthwash and chewing gum. Keep Soapwalla The Spray on you if your office set up involves hot-desking, so you can sanitise at anytime. 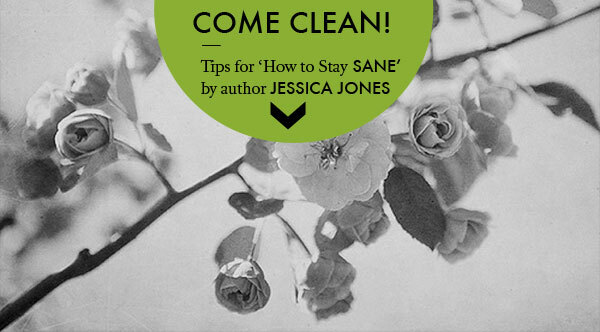 This sanitising spray is also useful if you’re on public transport throughout the day, as well as for wiping down your keyboard or mobile phone. Absolution Le Soin des Mains Facettes is a handy tube of multi-talented hand cream. It’s great for dry hands, works on nails too, and is ideal for those whose work involves washing hands regularly. Kjaer Weis The Lip Balm works to hydrate and moisturise lips, while also providing a lovely natural shine. It is free from petroleum and parabens, and comes in a refillable compact. The natural ingredients like Brazil Nut, Rosehip Oil and Chamomile make this lip balm an ultra nourishing choice. A metal lunch box and glass straw are easy ways to enjoy a plastic-free lunchtime. The Stainless Steel Box comes with a mini container for your favourite snack, allowing you to reduce your plastic and rubbish use to tie in with your zero waste goals. Stelton Reusable Cups have a state-of-the art smart click function that lets you open and close the cup easily so you can enjoy your hot or cold drinks without worrying about spilling them all over your keyboard. Incausa Palo Santo, when burnt, invites good energy into your workspace whether at home or in the office. Use its purifying action and to ward off negative energy. de Mamiel Shine Oil will help clear a foggy brain. Use this blend of herbs, essential oils and jojoba to your energy flowing for a brainstorming session. Amly Digital Detox Facial Mist was developed to give your skin a reboot from screen-fatigue. Anti-colloidal silver-rich spring water, energy-cleansing frankincense and purifying magnesium salts turn a screen break into a mini facial. Call on the Tata Harper Aromatic Irritability Treatment roller on those days when nothing is going your way. This aromatherapy’s calming scent helps immediately lessen feelings of irritability, frustration and negativity while inspiring a sense of peace and inner comfort.